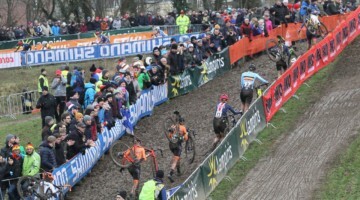 Americans Katie Compton (Trek Cyclocross Collective) and Katie Antonneau (Cannondale p/b CyclocrossWorld) were just two of five Americans racing the Valkenburg World Cup (along with Miller, Kemmerer and Vardaros), and were the top two Americans, finishing in second and thirteenth, respectively. 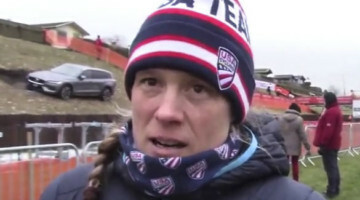 The two racers are more than just competitors, as Compton has coached the young Antonneau, and despite being on different teams, are friendly on and off the race course. 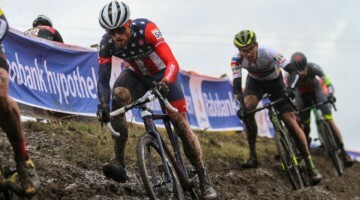 Compton’s husband, Mark Legg-Compton, jumped on his bike to pre-ride the Valkenburg course with Antonneau with a handlebar camera, and put together this video of the ride, including a few sections of course inspection and watching others navigate the tricky off-camber descents. 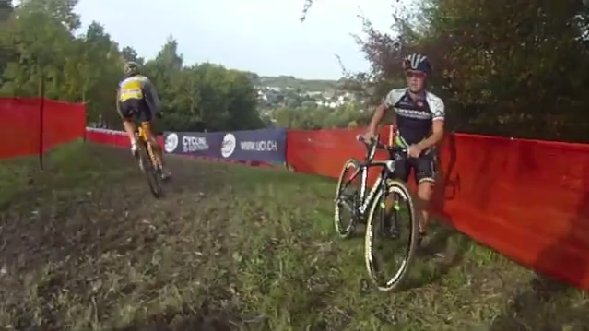 Near the five minute mark, he and Antonneau hop the course fencing to watch others descend the hill and to give it another try.